‘Scuze me while I give this book my full attention. 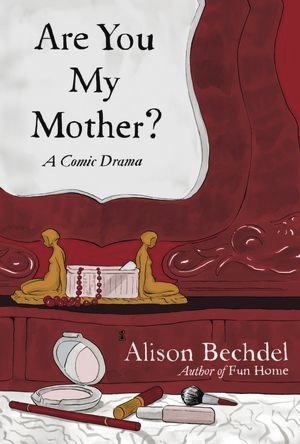 In January of 2011 I picked up Alison Bechdel’s Fun Home and could not put it down except to post an ecstatic comment about how good it was. It quickly became the book I most frequently handed out as gifts to my friends. Bechdel, the cartoonist best known for her strip “Dykes to Watch Out For,” as well as for her minimum-standard feminist criteria for seeing a film, subsequently termed The Bechdel Test, is an amazing memoirist/ graphic novelist. Fun Home is a memoir of Bechdel’s young life told in graphic novel format – especially trying to parse out her difficult, mercurial father whose gayness stayed secretive and whose death remains mysterious. So yeah, ‘scuze me while I throw myself into Bechdel’s pages. I’m turning off the phone, curling up with the blanket and a cup of tea, and letting these images and wry, terse text carry me on a psychological rollercoaster ride – to kiss the sky, and experience my stomach drop out from under me. Yet despite that moodiness, his hobbies were the pursuit of perfection in their house, an exacting dedication to renovation and decoration. Her father took extraordinary care to renovate their ramshackle Victorian home into a near-museum of Victoriana, with perfect crystal chandeliers, lace curtains, horsehair fainting sofas. The children had no say in the decoration of their rooms and lived with peeling paint and curling wallpapers for years. In one of the book’s most delightful mini-memories, she recalls combing through a collection of Addams Family cartoons from The New Yorker — but failing to understand the humor, she mistakes it for a cartoon about her own family, since their house seemed so identical and even Wednesday’s gloomy visage seemed nearly identical to Bechdel’s. The trick of telling such a tale via the graphic novel is getting the images and text to dance with each other, to lay out insights and revelations in alternately subtle and brutal ways in the course of telling a story with many conclusions. More than anything else, that’s what I love about this book so far — those moments when the text diverges from the images and one starts to see that families tell themselves contradictory stories with mixed messages. In some sequences, her text tells a dark story while her images evoke something sunnier — or vice versa. Her seemingly conventional panels can be evocative of high art even as they’re deceptively simple; her text can summon a host of literary references, other narratives, other outcomes. All of this is done in the most efficient manner — the total text in a graphic novel is almost like a haiku compared with the overflow of paragraphs in a traditional memoir — but the takeaway is huge. Bechdel’s own coming-out story — so often a tale of personal triumph in other people’s lives — is only made more complex by her father’s cloaked life, his lockjaw appearance in so many of her images of him, his moody stranglehold over the family. For this recommendation I’ve got to thank Tamcho, who recommended it and a pile of movie titles, too, under my Best Films and Recent Books lists. (Keep sending them.) Following her lead I’m sending this out as a recommendation to the rest of you. It’s so simple. It’s so shocking. Three easy rules to watch for when viewing films and thinking about women’s place onscreen — originally framed in Alison Bechdel’s “Dykes to Watch Out For,” way back in 1985, yet we’re still counting those films on our fingers.